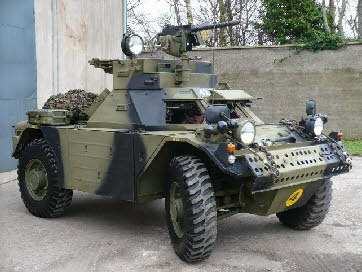 The Ferret was developed in 1949 as a result of the British Army's need to obtain a replacement model for its Second World War light armoured vehicles. 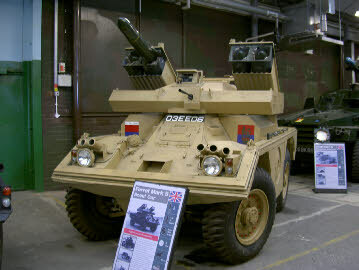 Due to the success of their Reconnaissance Scout Car, the "Dingo", The Daimler Fighting Vehicle Drawing Office was employed to design and manufacture the Ferret. The Daimler FV drawing office was lead by Mr. Sid Shellard, a brilliant and talented engineer who was quietly spoken and reserved. He was the brains behind the FV office together with his understudy Mr Ted Wilday a big, quiet, pipe-smoking chap with many years experience of FV design. 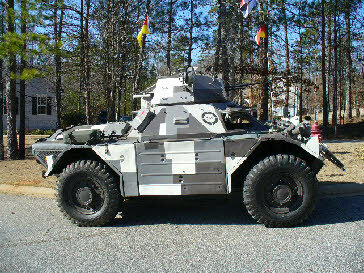 Both had gained valuable experience working on the design and production of the dingo and armoured car. The office was staffed by a total of three draughtsmen, Cyril Miles, John Wheeler and another. 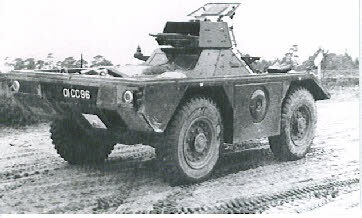 The Ferret shared many similar design features with the Dingo and Canadian Ford Lynx, but featured a larger fighting compartment and an optional small machine gun turret to accept a 30 calibre browning MG. It was built from an all-welded monocoque steel body, making the vehicle lower but also making the drive extremely noisy inside as all the running gear was within the enclosed body with the crew. Four wheel drive was incorporated together with "Run flat" tyres (which kept their shape even if punctured in battle thus enabling a vehicle to drive to safety). The turret, though not fitted to all models, carried a single machine gun. Six grenade launchers fitted to the hull (three on each side) could carry smoke grenades. 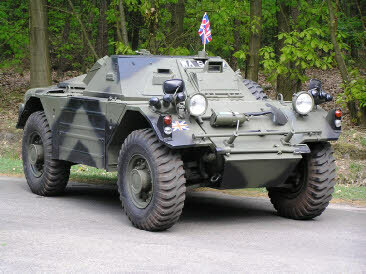 The Ferret was produced between 1952 and 1971 by the UK company, Daimler but used a Rolls Royce power plant. A total of 4,409 Ferrets, including 16 sub-models under various Mark numbers, were produced between 1952 and 1971. 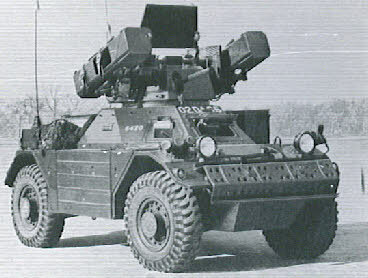 There are several Marks of Ferret, including those with varying equipment, turret or no turret and armed with Swingfire anti-tank missiles. Including all the marks and experimental variants there have probably been over 60 different vehicles. Designed and built for reconnaissance purposes, it was widely adopted by regiments in the British Army as well as Commonwealth countries throughout the period.It is fast and small enough to be used in an urban environment but strong enough to negotiate rugged terrain off road. Armament - 7.62mm or .30 cal LMG. Heavier armour than Mk 1 -Sealed hull for fording. Marks 1 and 1/1 identical except for armament on Mark 1/1. Very similar to the Mark 1/1 except for the flat faced superstructure. And 2 Spares on Side of Hull. 7.62mm OR.30 cal. LMG in turret. Amphibious. Usually modified from a Mark 2/3. It had larger wheels and tires, disc brakes and stronger suspension. It is not currently proposed to cover within this project the ferret or other vehicles designed by Daimler post WW2 in great detail. It is the authors arbitrary opinion that the vehicles were not ‘proper Daimlers’ because they featured engines produced by other manufactures! Based on the Mark IV "Big Wheel" Ferret. I ian included fitment for a 7.62mm or .30 cal. MG.